Scoliosis is an abnormal lateral curvature of the spine. 1-2 persons in every 100 have scoliosis. 2-3 in 1000 need treatment and 1 in 1000 needs surgical treatment. Scoliosis may have a variety of causes (like traumas, injuries or other accompanying diseases). Those who see scoliosis in their families are more likely to have scoliosis than those who do not. 80% of scoliosis patients have an unknown cause. It is a progressive disease which continues to advance till adulthood. It may cause respiratory or gastrointestinal problems, or a deformed and painful spine if not treated. The disease is more progressive in girls and requires brace treatment. What happens in the spine in scoliosis? The spine is curved to the sides. It also rotates around its own and the ribs that accompany this rotation also become curved. These curves and rotations along with the deformation of ribs create a hump in the back. Why is brace treatment necessary? The curvatures over 25 degrees may increase by growing up. The purpose of brace treatment is to prevent the progression of scoliosis during adolescence. Brace does not correct scoliosis but it prevents its progression. How successful is brace treatment? Brace treatment is performed by a team that includes a doctor, an orthotic technician and the patient. The curvature gives the best respond to brace treatment during adolescence. The adherence (compliance) of patient is the most important factor that affects the success of brace treatment. What are the risks of brace treatment? The biggest risk is the failure of brace treatment which necessitates surgical operation. What is a brace and why is it produced? Braces are produced for personal use with materials like plastic, metal and fabric. They may be long enough to cover from pelvis to neck according to the form of scoliosis. It aims to correct the curvature by the help of pillow-like materials that apply pressure from opposing sides of the curvature. Braces are worn under the garment and generally unnoticeable. Children that wear braces can continue their normal lives and be as active as the brace allows them. For how long is brace treatment necessary? The brace should be worn 23 hours a day until the skeletal structure of the patient is fully developed. Then it is used only in the nights for some more time until the treatment is finished. How are the results of brace treatment? Brace treatment succeeds in 80% of the patients who are not yet grown up. That means, their scoliosis does not progress. 20% of the patients see some progression. With a good brace treatment, very few patients experience a progression that will require surgery. Is there any alternative treatment for scoliosis? Only brace treatment and surgical treatment are proved to be successful in scoliosis. There are no alternative treatment methods. Physical exercise is not a treatment per se since it is not able to stop the progression in scoliosis. Most widely used Boston brace. Used for lumbar or thoracic-lumbar curvatures. Produced completely from plastic and for personal use of the child. It tries to correct the scoliosis curvature by three-point pressure system. Worn under the garment and generally unnoticeable. Similar to TLSO brace. There is an extra neck ring fixed to the brace with metal rods. Worn 23 hours a day. Used only during sleep (8 hours a day on average). Commonly known as the nighttime brace. A dynamic brace unlike the others which allows spinal motion. Only used in idiopathic scoliosis. Designed for personal use of the patient by the help of a special software, examination and x-ray findings. It allows proprioceptive stimuli to be received by receptors in the spinal cord unlike static braces. This is the most important part in neuromuscular terms for the training of a good posture. It is the only brace that allows normal body activities. So it provides strengthening the muscles (muscular atrophy may occur in static braces due to limited activity). It allows the child to join in any kind of activity (games, sports) because it is worn under the garment; it is very flexible and not noticeable. This results in a perfect patient compliance. Perfect patient compliance increases the success rate of brace treatment for scoliosis. It relieves the muscle fatigue based on poor posture. How is a brace used? The patient starts to wear the brace everyday with increasing hours until he/she wears it for 23 hours a day after 3 weeks. The patient’s skin needs to be checked for scars and cyanosis everyday. A (seamless) cotton t-shirt should be worn under the brace and it should not be allowed to fold. The brace should be worn according to the doctor’s descriptions. Daily exercises should continue during brace treatment. The brace is worn by entering inside of it. Opening and wearing a new brace is more difficult because of its relatively low flexibility. The brace’s straps must be at the outside. The brace’s open side should be at the back, centered by the spine and the hips. 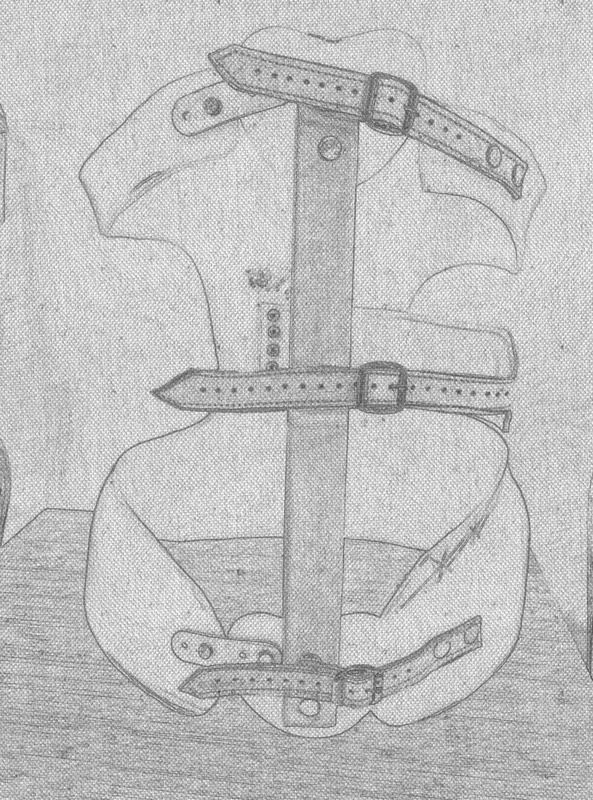 The brace is pushed downwards after being worn and placed on the ribs and the pelvis. It is easier to get help in closing the brace while leaning forward (holding on to a table or chair). The helper should push the brace while fastening the Velcro straps with his other hand. The straps should always be fastened from down to up. The straps should be checked at the end. The brace should be worn in the tightest position making it impossible to move. If the locations where there is a higher pressure are applied friction massage with alcohol, the skin thickens in these locations within 2-3 weeks decreasing further pressure sore. The pressured locations should be checked for redness every time the brace is taken off. This redness usually disappears 30 minutes after the brace is taken off. If it stays in the skin for longer, the brace should be readjusted. Brace treatment should be suspended if there are scars or wounds in the skin. Sometimes the skin around the waist and pelvis gets darker. It is nothing to worry about. The skin color returns to normal after brace treatment. The patient should use the brace progressively and be using it for 23 hours a day within 2-3 weeks. The skin and muscles can be adapted to the brace by a progressive program. The brace is worn 6 hours a day. The most suitable time is after school until going to bed. It is used for 2 hours a day at first. The skin is checked after taking the brace off and rubbed with alcohol. Same process is repeated until the brace is used for a total of 6 hours. The brace is worn 10 hours a day. It is easier to adapt to this phase by starting it in weekend. It is used for 4 hours a day at first. Same process is repeated until the brace is used for a total of 10 hours. The brace is worn 18 hours a day. The brace is worn before going to schools and taken off during lunchtime. The brace is worn again if the skin is ok (the redness is gone after 30 minutes) and not taken off until coming back home. It is not used for 6 hours after it is taken off again at home. The patient wears the brace again and goes to bed. He/she tries to adapt sleeping with it. The brace is worn 23 hours a day. The brace is only taken off while dressing or when the patient is going to take a shower. It can be taken off for 1-2 hours for physical exercise. The underwear (preferably seamless t-shirts, underclothes, bodies for girls) should be replaced everyday. The brace should be cleaned frequently. Plastic braces can be cleaned by water and soap. The brace should be wiped with alcohol once a week. Brace straps should be changed from time to time. Brace treatment’s success rate increases if it is applied with exercise. Patients need to do two types of exercise when they take off the brace and during usage. The exercises done when the brace is taken off increase the flexibility of lumbar and thoracic muscles, and prevent them from weakening. The exercises done when the brace is worn aim to provide a more effective correction. The arm at the concave side is stretched overhead towards the convex side. The patient tries to stay in this position for 15-30 seconds. It aims to correct the spine by stretching. More than 25 repeats for a day should be targeted. The patients leans his/her back to a wall in a straight position. The feet should be looking straight ahead below the hips. The patient tries to push the brace towards the waist and stays in this position for 30 seconds. 5 sets with 5 reps should be done daily. Children who use braces can run, jump, ride a bicycle and play tennis. However, skiing, skating, riding a horse or doing gymnastic exercises requires taking off the brace. Brace usage in hot weather might be difficult for some patients and air conditioning could be needed. Braces should not cause pain or cyanosis normally. Frequent adjustments and alterations could be necessary as the patient (child) grows. The neck ring of Milwaukee braces can be covered with a turtleneck sweater, a scarf or a foulard in order to look better. Brace treatment requires a close follow-up. The patient may have to visit the doctor by 6-months, 3-months or more frequent intervals.